While there are entire flashlight communities like the Budget Light Forum, most people don’t understand the newer LED technology, and many older people still remember the dim incandescent models with old, leaky alkaline batteries inside. There are even several flashlight scams that prey on people who don’t understand just how far LED flashlights and lighting technology in general have evolved. The technology has come a long way in the last 5 years alone. Modern Cree LEDs are a powerful combination when paired with lithium-ion batteries, and newer designs are getting better and better at squeezing that kind of performance from common battery formats like AA and AAA, especially with multiple cells. The goal with this article is to help the beginner understand modern LED flashlights and be knowledgeable enough to make an informed choice when shopping for them. Because knowledge is power. Most modern flashlights are built in China. There are many manufacturers that like to give the appearance that their flashlights are made somewhere other than China, but there are very few companies which make these products. Surefire is one of those companies who make their products in the USA, and they are also used by many military and police forces around the world. They have a reputation for quality, but they also have a reputation for using older, more conservative designs, and for being a bit overpriced. It’s true many of the Chinese manufacturers specialize in ultra-cheap models, though even those models have a following. But the bigger Chinese brands like Fenix, Nitecore, Olight and others are considered by most enthusiasts to be the superior flashlights, especially for the money.This is due mostly to the constant innovation that these huge Chinese factories need to do to just compete with each other. So, the first thing to understand about flashlights is that they’re basically all made in China. And the people who swear by the few USA brands are usually military people or police officers who have never used anything else. Again, they are good products, but most of the innovation is coming from overseas, and most flashlight enthusiasts either make their own or buy Chinese products. 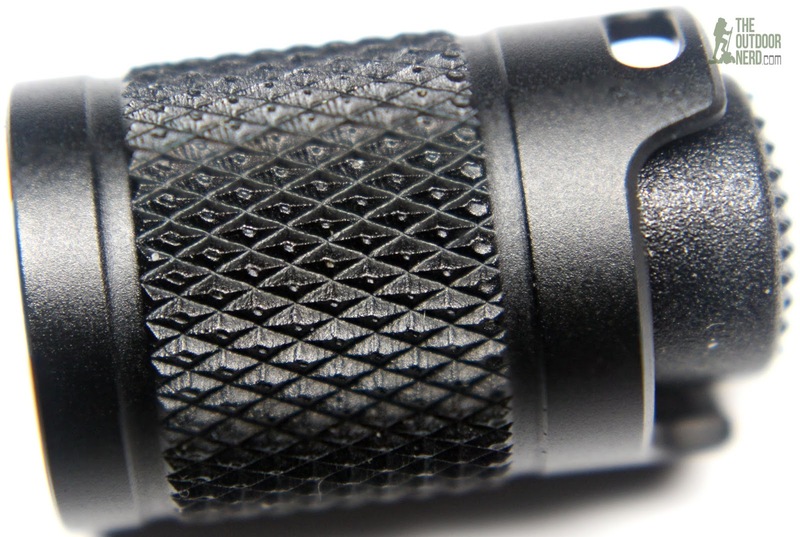 The LED emitter is at the heart of every modern flashlight. It’s what old people used to call a “light bulb” of the flashlight. Some flashlights like my Lumintop PS03 have multiple emitters, putting out enough light for a UFO encounter. There are many producers of LED emitters, but most people consider Cree to be the best producers of LED emitters for flashlights. And therein lies the irony: all those Chinese brands have to import their LEDs from the USA, because Cree is a USA company. In the last few months, the Chinese have been getting better at making counterfeit Cree LEDs, so the landscape becomes more complicated for the budget sector. Name brand Chinese flashlights generally will have genuine emitters, though. And there’s the second irony: the Chinese fakes hurt the legitimate Chinese makers. LED technology is currently far ahead of battery technology, even with high-tech lithium-ion batteries that power our phones, tablets and other electronics. None of these devices draw anywhere near the power that an LED (or group of LEDs) flashlight can draw, especially over time. Because of this fact, flashlights that can take a single AA or AAA flashlight are not anywhere near as powerful as a light taking more than one cell, especially more than one lithium-ion cell. The thing about lithium-ion cells is not so much that they have more power than their common chemistry cousins like NiMH and alkaline–they don’t–it’s more that they can sustain a higher current draw, giving more of their power to the LED more quickly than the other chemistries. This means that the highest output will almost always be with lithium-ion, though some of the 4xAA flashlights do pretty well in the output department. There are actually models with a touch screen, but most flashlights will have a single “clicky” switch at the tail of the unit, called a … wait for it .. tail switch. Some flashlights have one or two electronic switches on the side of the unit, and some even have two-position electronic switches commonly found on high end digital cameras. Some flashlights also can have control rings where you can twist to adjust the brightness. There’s a whole lot of variety in the marketplace. Whatever the user interface is, the goal is to let you cycle between the various modes of brightness, as well as special “disco” modes like strobe, S.O.S. and beacon modes. Tactical Switch A momentary-on, mechanical switch. Also called a “forward clicky” because you can activate the flashlight without clicking it on and having to unclick it off. Light comes out as long as you are pressing the button slightly, or you could press it all the way and engage the switch. Flashlights with a forward clicky will usually have a second switch to change modes, as it’s a little awkward having to select a mode before you engage the switch. Reverse Switch Also called a “reverse clicky” because you have to fully engage the switch for light to come out. And to turn the light off, you have to fully engage the switch again. Flashlights with a simple user interface often use reverse clickys because a full click turns the light on an off, where a half click cycles between the modes. It’s more simple and intuitive, though you lose the advantage of the forward switch. Electronic Switch This is a different type of switch normally found on phones, cameras and game controllers. Because these types of switches aren’t really mechanical, they can go a huge number of cycles–up to around a million–before they wear out. Some flashlights will even have more than one electronic switch to give a richer user experience. So it’s usually a much more rugged switch. The mode features and output levels will usually make or break the flashlight for you. Everyone likes something different, so it pays to do your research and choose with that is most useful for how you use it. Moonlight Usually a “sub-lumen” mode that is barely visible to the eyes, and can only be seen with dark-adjusted vision. Very useful for checking on sick children without waking them up, and in survival situations where you can get extreme run times with this mode. Low The flashlight’s lowest output mode, specific to the flashlight make/model. Medium A good flashlight will have good “mode spacing” between output modes, so this flashlight-specific mode is usually the most important mode since it falls between the other modes. High This mode is normally the highest output mode the flashlight can reasonably sustain. Most high end flashlights shoot for about an hour on high. There are other factors, like heat. Turbo Some modern flashlights can temporarily provide a ridiculous output for a certain amount of time. Many flashlights will only give you about 5 minutes of turbo before the unit shuts off based on time, heat or battery drain. Strobe Some flashlights, even the super cheap ones, have a strobe mode that I can only describe as epilepsy-inducing. Sometimes called a “tactical strobe” and other names, it’s always the same effect. Some of the higher end tactical flashlights can actually vary the frequency to make the effect more disorienting, these modes are overrated for a self defense situation. At best, I think it could give you about a second, which could be huge, but you’re not going to subdue your attacker with a flashlight–other than maybe hitting him with it. S.O.S. It’s the universal Morse code sequence for “Help”. Early versions of the cheap Chinese versions actually output SOO instead of SOS in Morse code. Personally I consider this a worthless mode. Beacon Done right, beacon is a genuinely useful mode for survival. It’s basically a periodic pulse, designed to be easy to see from a distance, but also designed to conserve the battery’s life and prolong the beacon. This another potentially hidden or programmable mode. Colors Some high end flashlights contain more than one color LED, and it will have modes that use for example red and blue LEDs alone and together in various “cop modes” which would only be useful if you are a cop. Though the red LEDs do have a tactical value for hunting, military, etc. 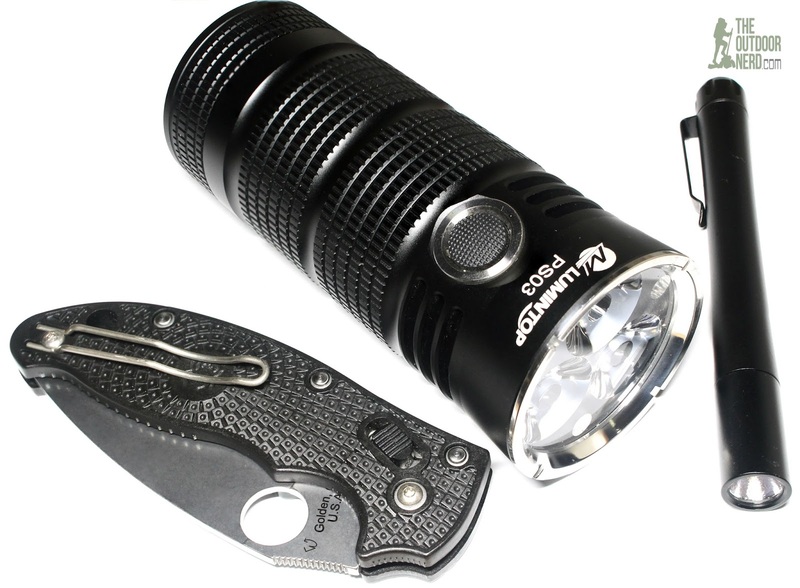 Some flashlights come with attached clips, allowing you to easily clip the flashlight to your backpack, bag or pocket. 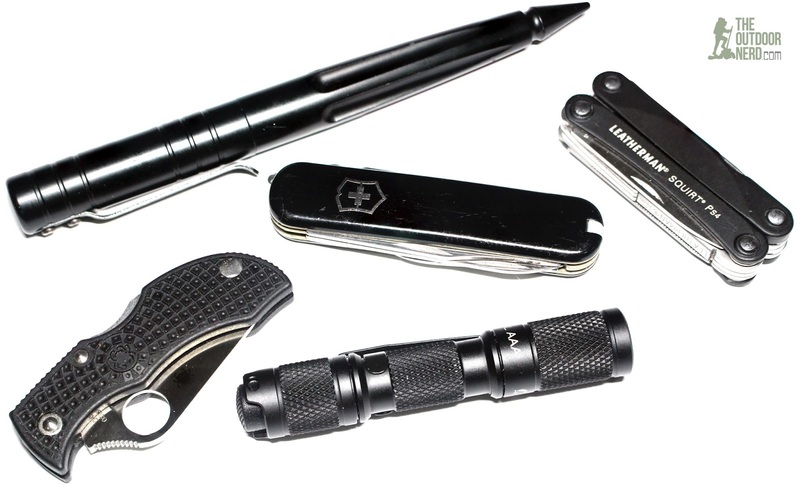 Clips where the entire flashlight rides in your pocket are called “deep carry” clips, and are the preferred method of carrying a flashlight by enthusiasts. Some people carry their flashlights with string or paracord tied to a hole in the flashlight’s tail, and this is called a lanyard. Some people make very artistic and complex lanyards just from tying the paracord a certain way. There’s a whole art form around it. When a flashlight’s beam is narrow, with a small “hot spot” it’s said to have “throw” which refers to the distance you can see with that flashlight. Output factors into the throw, but it’s usually a combination of the LED die size and the size of a reflector, which is why large die size LEDs like the XM-L2 can project light close to a mile by having a huge reflector, but yet have a floody output in compact lights. When a flashlight just puts out a wall of light, it’s said to have “flood” which is generally more useful to every day carry (EDC) tasks such as looking under the hood of a car or a dark room. Many flashlight models have a balance of throw and flood, giving you the best of both worlds. Whether you want flood or throw depends on your needs and how much you’re looking to spend. Some “floody” flashlights can produce a decent amount of throw just through pure, brute force output. This is why many people like me prefer a “soda can” flashlight with multiple, floody emitters with hardly any reflector. These are compact beast-mode flashlights. But there are whole enthusiast communities dedicated to pushing the distance a flashlight can project light to. The electronic circuitry of a flashlight is under the hood–behind the scenes where you can’t see it. Some of the higher end circuits have current-regulated output that will give you a constant brightness for as long as you have the battery power. Some cheaper circuits skimp, and use low frequency PWM which regulate the output by flashing the light on high almost like a strobe mode. Some people like me are very sensitive to this–it makes me queasy–and some people don’t even notice it. Some flashlights use high frequency PWM to make the tint more pleasing, without any of the negative side effects from being low frequency. But PWM in any form drastically affects the efficiency, and thus the run time, of the flashlight. Because I come from an outdoorsy family full of preppers and outdoorsman, ideally I stick to constant current flashlights that would let me eek out every last minute of run time in an emergency or survival situation. There’s an incredible amount of innovation going on with flashlights right now. Some of the best “modders” are in the USA and Europe, but it’s mostly only the Chinese manufacturers listening to these communities. Most phones and tablets contain a cheap Chinese LED, which is inferior to the USA made Cree LEDs, but light is light, and your phone or tablet probably has a decent battery, making it a decent flashlight substitute. The best flashlight is the one you have with you. What the app basically does is just turn on the phone’s camera LED that it uses to take photos. Most devices allow the LED (if one is even present) to be turned on and off with software. Some devices allow a brightness control with the LED, and some apps can even control the brightness using a crude form of PWM by make the LED flicker. However, not having a regulated output makes these lights less effective for emergency or survival purposes. It’s much better than nothing, but not as good as a real flashlight. The light from these camera LED emitters is also pure flood, which isn’t useful for example to look for a lost child in the woods. But used within its capabilities, there’s no reason everyone shouldn’t have a free flashlight app installed if their device has an LED for the camera. I live in the USA, so I can’t speak for the best place to buy a flashlight in your part of the world. Certainly anyone in the world can order them straight from China and potentially save big. But buying direct can be a mixed bag with the shipping times and the language barrier. When everything goes right, you get your product 30-60 days after you order it, and save at least 50% if you do it right. But when it goes wrong, suddenly the person on the other end doesn’t understand what you are saying, and the return process can take months and make you want to pull your own hair out. Since I always considered shopping on the Internet to be a full contact sport, I often order directly from China. Certainly nothing I’m in a hurry for. Most of the time I order from Amazon.I have a Prime account which gives me free 2 day delivery and most of the time they have the best price of any USA seller. But I don’t just collect flashlights. Pocket knives can be had from some of the same Chinese sellers of flashlights, and Amazon is also a good source, but some of the Spyderco pocket knives I collect are best purchased from a smaller dealer or locally. Even if you buy somewhere else, it’s always good to read some of the better reviews on Amazon, as well as any reviews you can find on blogs like mine, as well as flashlight communities like BLF. It pays to do your homework! Here’s a random list of my own flashlight reviews. If you value my work and think I did a good job, it really helps to purchase an item from my Amazon links. I get a small commission from anything bought through my links. Most of the Amazon links you will find on my blog are from products I purchased with my own money to review and help people get the most out of their outdoor gear. And if I didn’t do a good job, then I’m always open to constructive criticism … let me have it! Thrunite Ti5 AAA 1 I’m working on the review now! Thrunite Ti3 AAA 1 Good mode spacing, good circuit, good output–great all around. Fenix LD01 AAA 1 Outdated but still a stalwart. Sunwayman D40A AA 4 Good throw and great output. It’s always on my shelf with 4 Eneloops in it. Nitecore EA4 AA 4 There’s a new version of this one that is much better. But I gave mine to my sister and she loves it. 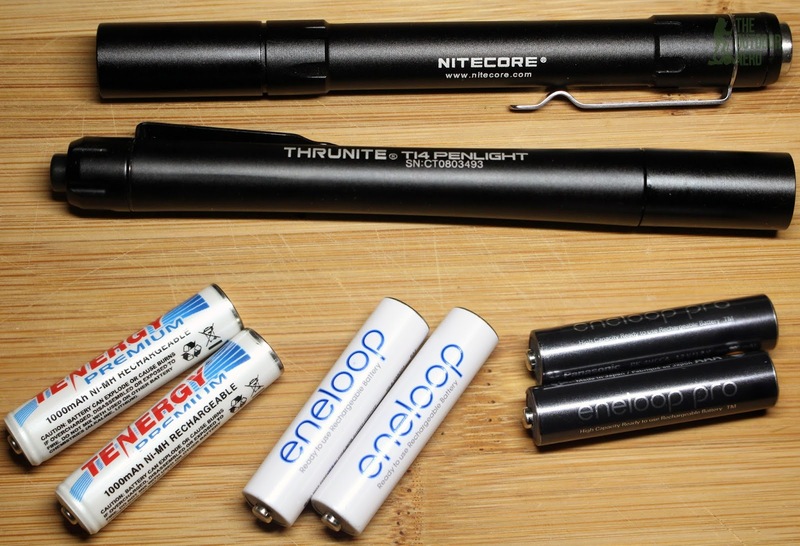 Nitecore SRT3 AA / 16340 1 Can basically take any battery that fits in the tube with the included AA extender. Sunwayman V11R AA / 16340 1 Small, compact and uses a control ring to adjust the brightness. Also on my shelf at all times. Mine is over 3 years old and still going strong. But you have to buy the AA extender separately to be able to run different types of batteries like the SRT3. Lumintop PS03 18650 4 With 3 XM-L2 emitters, it’s a beast that puts out a wall of light! Which flashlight would you recommend for looking into dark storm sewer manholes on a bright day? The manholes are probably no deeper than 25 feet with most of them being 8-10 feet. We are looking for condition of the interior and taking manual measurements. I would look at the Nitecore MH20 which can be had on Amazon or any of the big online retailers who sell flashlights. If you don't like using an 18650 lithium-ion battery, there are lots of 4xAA flashlights which use the common AA battery but tend to be a little bulkier. 1. Those are "Chinese lumens"
2. That is the same light where people are taking a $2 flashlight and marking it up to ridiculous prices. You can find the same flashlight for under $10 retail, or buy a good one with a name brand like Nitecore, Fenix, Thrunite, etc. I have a collection of lights myself, and enjoy their unique characters…. Fenix lights are a good balance of value and budget, and I haven't had any fail yet (pushing ten years on a few now) One of my favorites of that platform is the 1xAA LD-12… Tac-Mon Clicky, relatively simple operation and multi-bright mode. But lately, I have found myself going the even simpler low-profile route with EDC gear, and for general purposes I currently enjoy carrying my Streamlight MicroSteam Gen 2. Very simple, on or off. The brightness is just right for most near field work, and even dark spaces or rooms. It weighs just a few ounces, and sits perfectly next to my Benchmade 707. very slim and not bulky for pocket clip carrying. I see too many folks carrying alot of gear (yeah that's a good thing actually) but don't consider too much the bulkiness and overall weight involved, especially when you add a CCW pistol to the mix (my preference is the G43). Unless you have a gun-belt quality belt on your waste — even if you're not carrying a firearm, the other gear on your person will eventually weight you down and cause you more problems and discomfort, that can be easily mitigated. Hi, could you recommend a good headlight. I like the strap that goes over the head, keeps it from falling down. I like to have my hands free. I've always like the Nitecore HC50 but it's a little bulky. Recently I got an Olight H1 in for review and I'm pretty infatuated with it. It doesn't have the top strap but probably doesn't need it. Is there any truth to the notion that some flashlight circuity involves a parasitic drain on batteries? Left long enough, say a month, the light will not provide any useful performance. Also, I've purchased the Duracell flashlight sold in packages of three at Costco. With very little use, I find that they have failed to function. Have you gotten wind of such failures? Excellent page. Though I do like to have a strobe for my edc light for self defense, never needed it yet but, better to have and not need than to need and not have.